Designed to ram/force feed colder atmospheric air into your engine at all speeds, the Password:JDM Dry Carbon Ram Air Scoop will allow your intake system to work at full potential. Each one of the PasswordJDM Dry Carbon Ram Air Scoops are individually hand crafted here in the states for quality. The Password:JDM Dry Carbon Ram Air Scoop is a simple bolt on installation that can be performed in minutes. 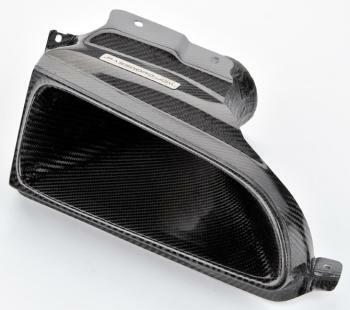 Simply swap this carbon scoop in place of your factory headlight and your done!